Dog stories are pretty hot in the publishing world right now. 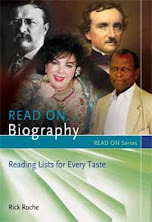 It was only a matter of time before the trend would cross from the memoir camp to literary biography. 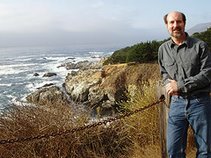 Maureen Adams accomplished this feat with her new book Shaggy Muses: The Dogs Who Inspired Virginia Woolf, Emily Dickinson, Elizabeth Barrett Browning, Edith Wharton, and Emily Bronte. Dogs are known for their loyalty and freely-given companionship, which was something all of the women in this book needed. All of the dogs sat with their mistresses as they wrote their stories, poems, and essays. They also became subjects in some of their greatest works. The best story in this book may be the first, that of Browning and her dog Flush. Caring for her dog got the young invalid out of bed and eventually led her to stand up against the wishes of her father, who refused to ransom the kidnapped dog. Browning defied him and arranged for the ransom to be paid to get her beloved dog back. She might never have eloped with Robert Browning had she not learned she could trump her father. Flush went with the couple to Italy, where he lived out his days happily. After the story of Flush, Shaggy Muses is not a warm and fuzzy read. The remaining women had many problems, and their dogs sometimes played roles in disturbing episodes. In great anger over his getting on the furniture, Emily Bronte beat her dog Keeper savagely; she immediately regretted her outburst and nursed his injuries. This uncontrollable violence is reflected in incidents in Wuthering Heights. Virginia Woolf wrote about her dog Pinka's feelings of loneliness instead of her own in letters to her lover Vita Sackville-West. Her husband Leonard also deflected some of his thoughts through the dogs in his messages to Virginia. No one seemed willing to admit their own feelings. Late in life Woolf wrote Flush, a book about Browning's dog. Though it was supposed to be a quick, easy project, she spent over two years researching and writing what is now a mostly forgotten book. She realized what an important character Flush was and gave him full biographical treatment. 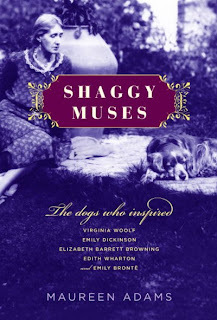 I enjoyed Shaggy Muses as both a dog book and as an easy introduction to the lives five literary women. The book deserves to be in more public libraries.